We managed to get the bikes out of the garage this morning, so we could go for a ride to breakfast before it got too hot. 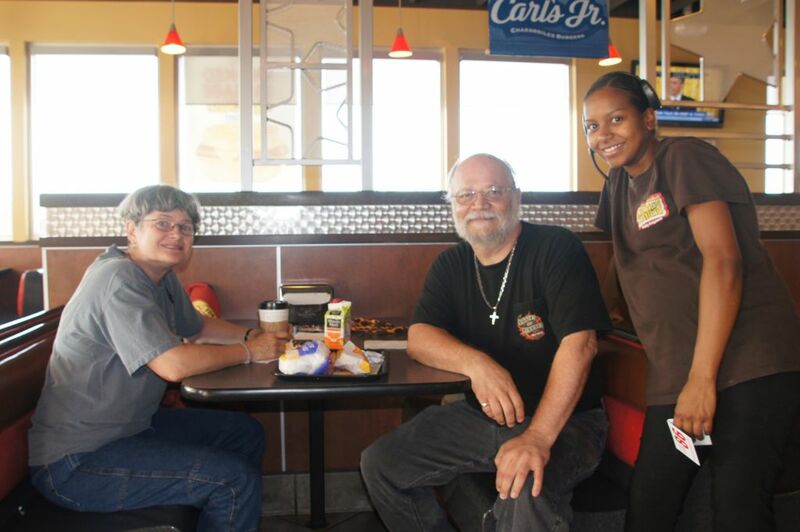 Well, I don’t think we beat the heat, but we did have a great breakfast at Carl’s Jr. up on 1431, and I managed to talk this nice employee into posing with us for a picture. Mmm, I love their Sausage Breakfast Sandwich.